Half term fun with Debenhams Toy Dept! My kids were the lucky recipients of some new toys from Debenhams, timed very nicely for the last couple of days of the half term break down here in the south, when I was running out of things to entertain them with (I think I have RSI from stirring so many bowls of slime) and then came down with a cold meaning I didn’t fancy chasing them round the park in the damp either. Debenahms came to the rescue by sending us a gift card for the kids to spend either in store or online. We chose to spend online as our local store doesn’t have a huge toy department, plus it’s always easier to say “no, you can’t have that because of xyz…” when you’re all looking at pictures on a screen than risk a public meltdown in the store! I did however choose to ‘click and collect’ from the local store, which meant that I ordered at 1pm in the afternoon and picked my order up within 24 hours with no charge! Arlo chose himself two Cars themed toys to play with, which was no surprise because the Cars films he would happily watch from dusk till dawn! He’s obsessed with anything with wheels basically but I was surprised when one of choices was a Magnetic Scribbler. 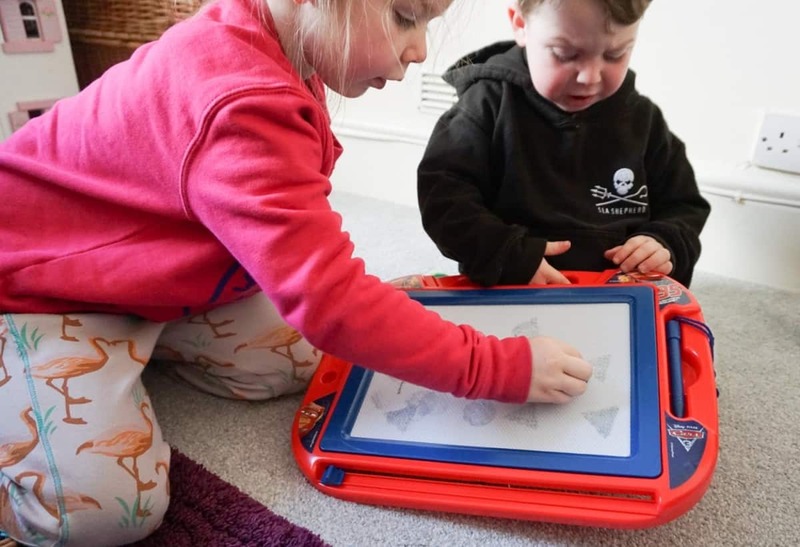 Arlo hasn’t been a huge fan of drawing or trying to write until fairly recently, which is a direct correlation with his sister loving playing ‘teachers’, so that has been happening a heck of a lot since the Magentic Scribbler arrived in our house! She’ll write out words for him, or draw patterns and he’s try and copy her, it’s super sweet! It’s also a decent size, I’ve been stung before buying online and ending up with a tiddly little magnetic drawing board but this one is big! 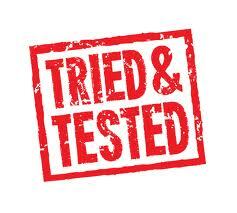 It’s come on a few car journeys with us now too, which has significantly reduced the in-journey whining! At this point I’d like to point out I am fully aware that my kids fit into typical girl and boy stereotypes with their toy choices, through no guidance from me but what can you do? 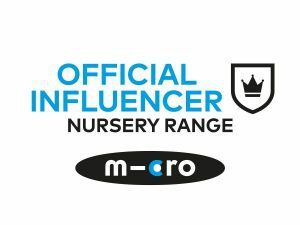 Athena loved playing with everything until she started at preschool and then turned into a girl girl and ignored her cars and toy train tracks, and Arlo then fell into a very ‘boy’ themed love of toys like construction and vehicles. He will still play with dolls though, and they do play together a lot with each others toys. And you know what? They’re happy, I wouldn’t stop them from playing with any type of toy should they want to, but as it happens they do both go for toys that couldn’t make them any more stereotypical! So, Athena chose not one but TWO Barbie toys for herself! 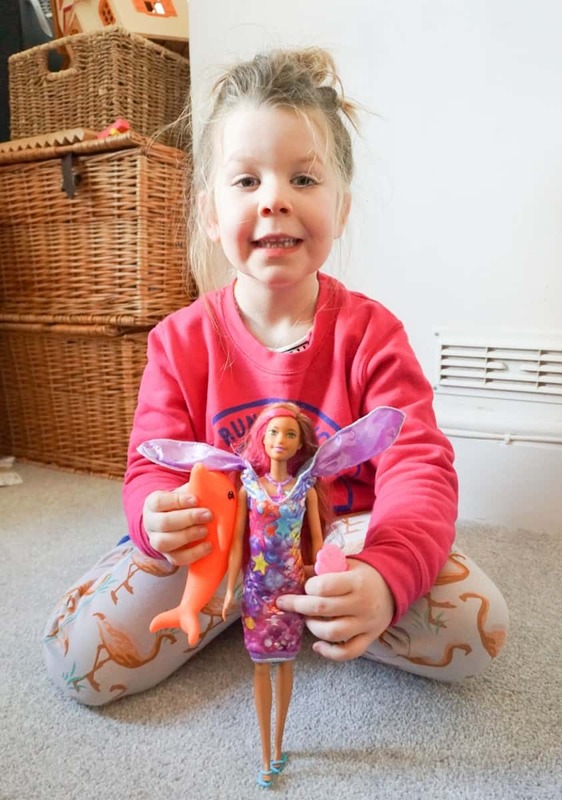 The first is a mermaid Barbie, with a convertible dress (it can be a tail, a skirt or a dress from what I can gather from Athena getting super excited) but best of all it comes with a ‘Squirting Dolphin’ AND part of her dress changes colour in warm water, so Mermaid Barbie has been in every bath Athena has had since she arrived! The other toy Athena loved the look of (and is possibly the most girly thing I have ever seen!) 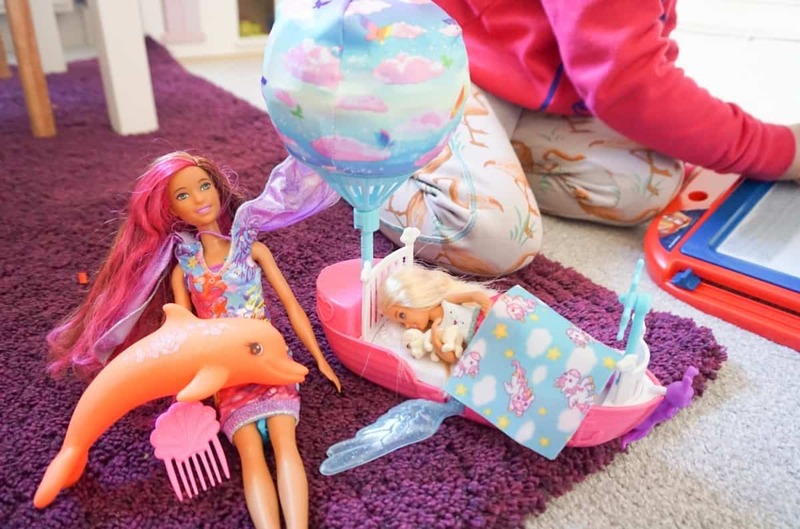 is a ‘Dreamtopia Magical Dreamboat’ which is a bed on wheels, shaped like a boat… with a rotating rainbow printed hot air balloon that rotates as you push it along, with a tiny Barbie girl in it hugging a puppy, underneath a cloud print blanket. Oh, and the boat has wings. I mean, it’s about a whimsically little girly as you could imagine but she LOVES IT! She drives it along the carpet at full throttle, stopping every now and then to make sure the girl is tucked up under her blanket! 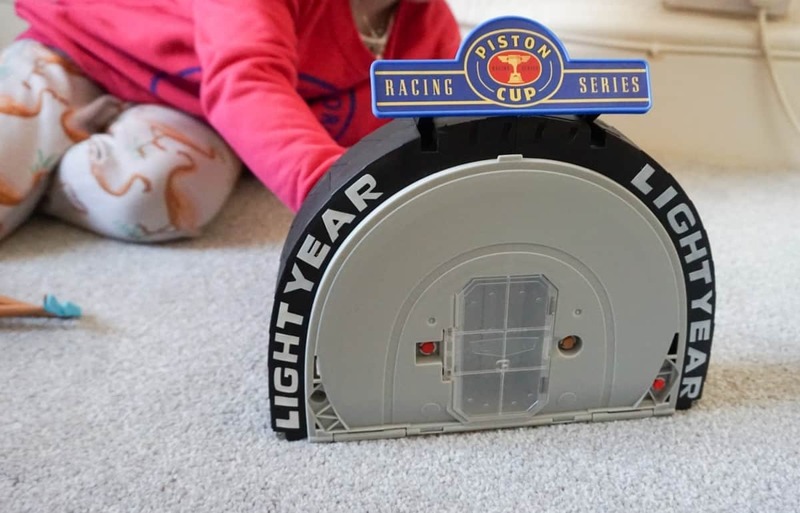 The other toy, another one that Arlo chose but that they both play with is the Cars Portable Play Set, which a cleverly designed portable race track, with space for a car inside. 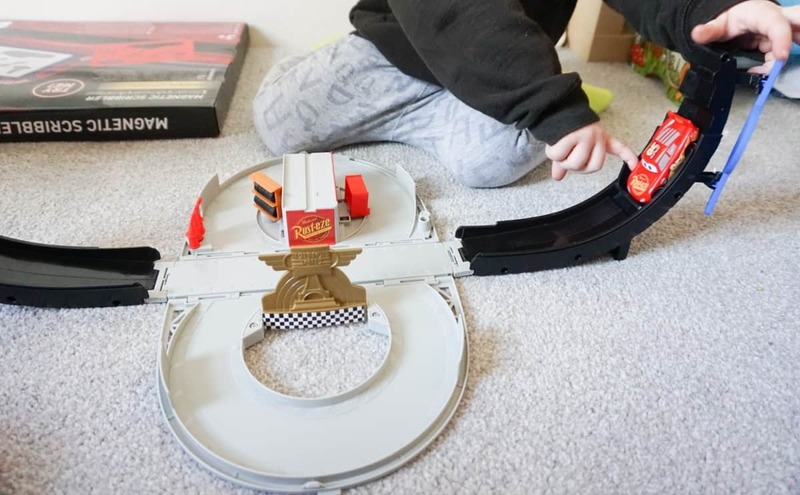 Not only is there a figure of eight track but a curved track too, which appears when you fold the black carry handles out and prop them up with the built in stands. You can send Lighting McQueen hurtling from one side to the other, plus it’s compatible with all the other small cars Arlo already has. He takes great pleasure in shooting his cars across the track and then shouting ‘YESSS I WON’ and sticking the car on top of the podium in the playset and clapping at it! Athena also likes to play with it, and is a bit more dexterous than Arlo, so is able to help him with the more intricate moves and spins he insists on doing! All in all we had a lovely half term, with the addition of new toys making the few down days that I scheduled into our week a lot less stressful, and meant that I could get on with a bit of work sneakily whilst they played nicely (mostly!) together, something that I don’t often manage, all thanks to Debenhams! 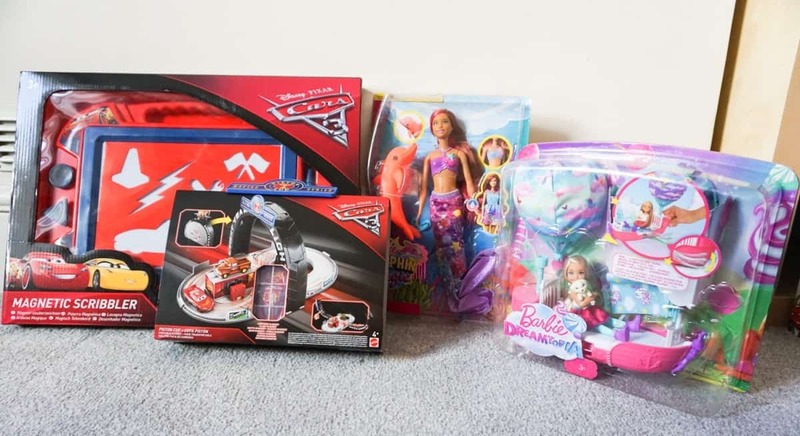 This post is a collaboration with Debenhams as part of their toys campaign. All words & opinions are my own. Ohh! What fantastic toys. Great choices. Fantastic looking toys. I know that like Arlo my son Blake would love the disney cars stuff especially the portable set. 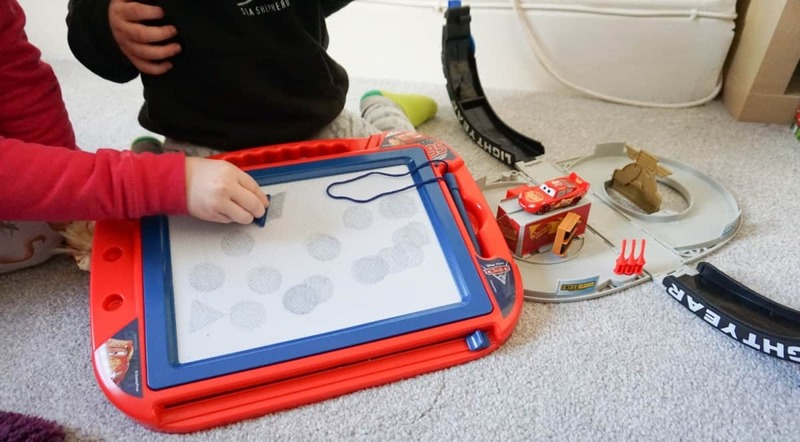 What a great selection of toys, I know my daughter would love the Magnetic Scribbler – she loves Cars! What a fab selection of toys! Debenhams really do have a great toy department, it’s not somewhere `I would really consider but will now! I must admit that I always think of Debenhams for clothes rather than toys – must keep them in mind! Great choices the kids made! My boys would love that car race!